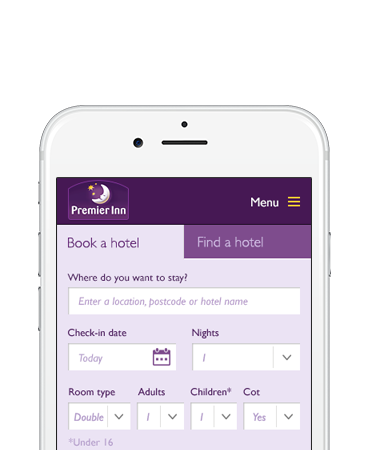 Premier Inn were beginning a process of redesigning and replatforming their suite of digital products. Their mobile web product was identified as a key customer proposition and it was prioritised for development to ensure it enabled customers to book a service with ease. 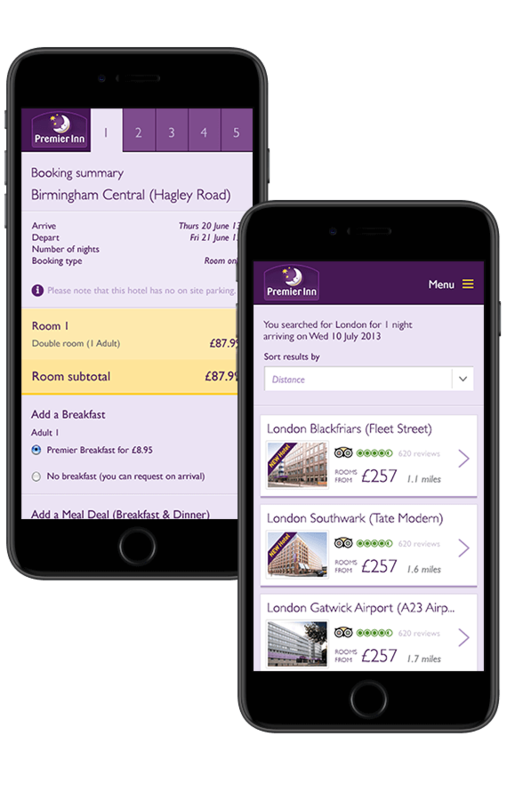 The brief called for a major rethink in the user experience of the existing journey to stem customers dropping out of the booking funnel and to increase revenue potential of mobile customers. The booking journey began with customers selecting the location of their stay from the homepage, into the calender, then onto the results screens and hotel details. Once a hotel was chosen they went through the 5 step booking form. Our research showed that the calendar could be easier to use, as it wasn't clear how start and end dates were selected. The stepped approach to booking was sound, but the interaction and grouping of information was creating confusion, adding to distraction and leading to drop off points. Results cards were stripped back to include the minimum and most relevant information. In this case, image, location, price, trip advisor rating and, crucially for the Premier Inn customer, the distance from the postcode entered. Taking a UI that's familiar to the customer and making lots of small refinements can often lead to greater results, with less business risk than a complete redesign. This was certainly the case here. 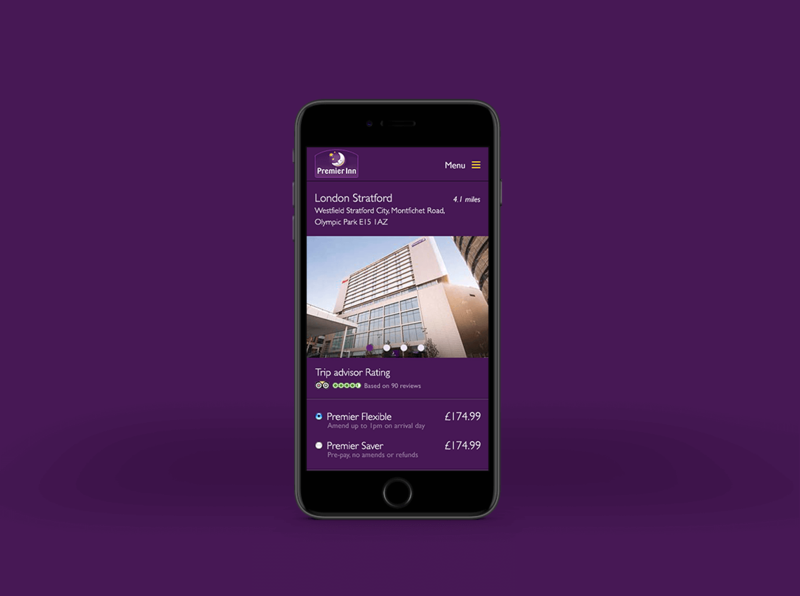 In the first 3 months the mobile site went live, drop off decreased through the booking funnel with revenue increasing by £1million. A true test of its success is in the length of time it remains live online. 2 years later the base improvements are still in use, with changes to the UI inline with their brand development.